The healthcare IoT market segment is poised to hit $117 billion by 2020. The IoT has a potential economic impact of $3.9 to $11.1 trillion per year by 2025. Sensors, modules and connectivity account for more than 50 percent of spending on the IoT, followed by IT services and software. An estimated 36 percent of companies in North America had IoT initiatives in 2015. 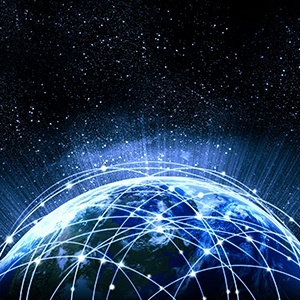 There are forecast to be approximately 212 billion Internet-connected things (healthcare instruments, tracking devices, wearables, etc.) by the end of 2020. IoT technology has the potential to save more than $200 billion through chronic disease management. The use of IoT is expected to grow fastest in healthcare over the next five years. Perhaps the biggest area in which the IoT may impact healthcare is remote patient monitoring. Through the use of wearable sensor devices, physicians and other clinicians are able to remotely monitor patients, especially those with chronic diseases, resulting in the capability for earlier interventions, a decrease in unnecessary appointments, lower costs and improved patient outcomes. These IoT devices have the capacity to monitor a wide range of patient information such as temperature, blood pressure, heart rate, glucose level and more. Increased efficiency and sharper focus on high quality patient care. At Syntrix Consulting, our certified consultants have the knowledge and experience to help you integrate multiple technologies and IT systems to optimize your clinical, financial and operational performance. Contact us for a free consultation.